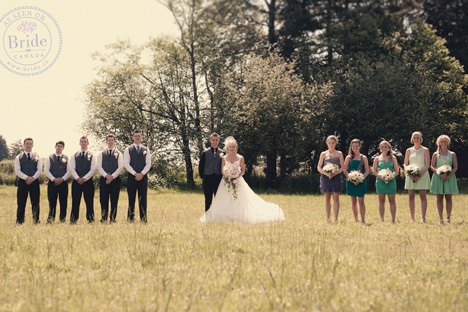 This was one of our favourite weddings to photograph. 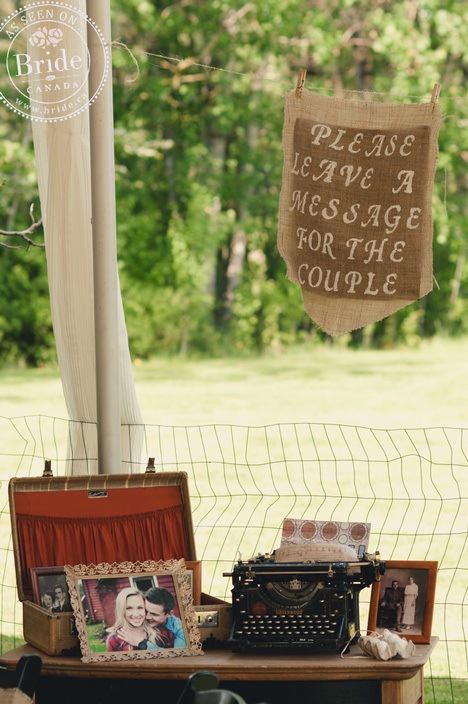 It was a rustic wedding on a little farm. 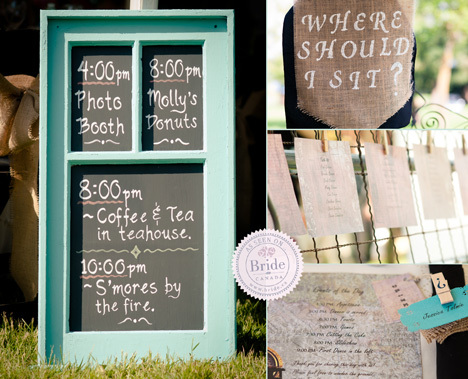 The wedding was full of DIY details, beautiful landscape, a barn and sheep. Barns are highly sought-after in Vancouver and this couple managed to find one of the most gorgeous barns we have ever seen. 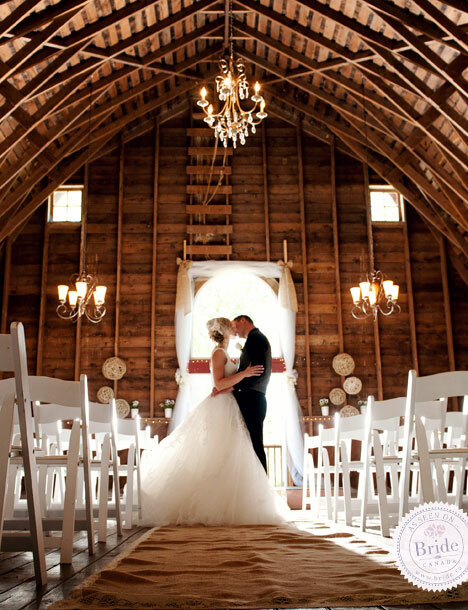 The DIY details, chandeliers, wood accents, made for a fairy-tale wedding. My husband and I grew up on opposite sides of a small town in British Columbia, Canada where it was highly unlikely but clearly a possibility to wait twenty years before finally meeting. When we least expected it, Tyler and I finally met during a summer in Whistler where some friends had brought us up for a weekend of camping. Instantly, thoughts of forever entered my mind and we didn't spend much time apart from there. Two years later, I came home from university to find a forest lit up with mini lights and the man of my dreams down on one knee and forever became a reality. I had always imagined an over-the-top wedding but Tyler brings out a much more outdoorsy-understated side which was reflected in our day. We planned for May 19, 2012, an eight month engagement. Those months were filled with scavenging through local thrift shops and online craft stores where we found hundreds of items that reflected both our personalities. The theme quickly emerged as "rustic elegance" and my Mom's highschool friend had the most perfect property for this day to play out. Evita owns a working farm that is rarely used for events, which is why I won't mention the address but will say that the property is about twenty minutes from Tyler's and my hometown. The farm is a place of beauty and relaxation, but it would not exist without a lot of hard work. 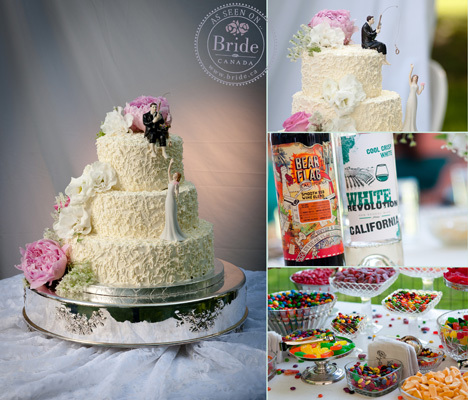 Evita is creative and passionate and she was fully devoted to making our dream day a reality. 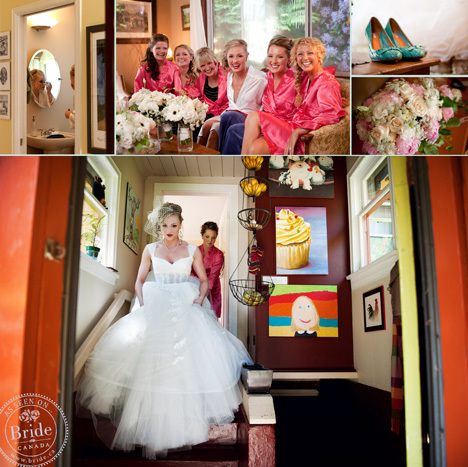 Her and our families spent hours and hours enhancing the beautiful red barn, tea house, and garden into a "venue" fit for a wedding. Our photographers set the tone for the day with their relaxed yet inspired and creative attitude; from then-on, everything went smoothly. 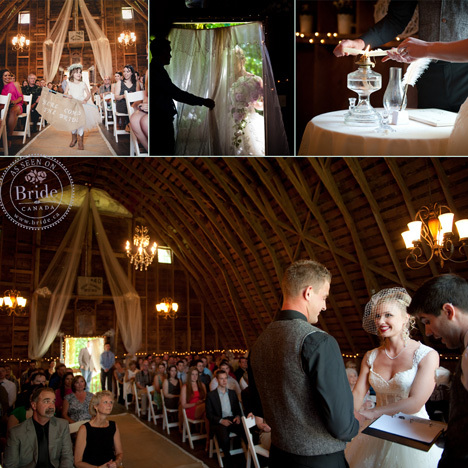 The ceremony was held in the loft of the barn which was strung with the handmade tweed balls and bunches of tool and lace. Wooden white chairs filled the loft from front to back in order to accommodate 150 of our closest friends and family members. The intimate ceremony was led by Tyler's brother-in-law, Alex, who spoke about love and faith. After the ceremony, our bridal party left for the tea house for some champagne while the guests had some appetizers and found their seat under the tents. 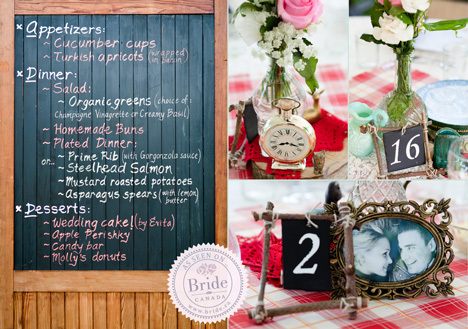 The reception had a very laid-back feel and each table was thoughtfully decorated by our friends and family. The various thrift store 'finds' all seemed to work together to bring the 'rustic elegant' feel from the barn to the tents. We were so blessed to have so many hands help make our wedding a possibility. Every place-setting was set with wedding programs that were printed from my family's regular ink-jet printer. 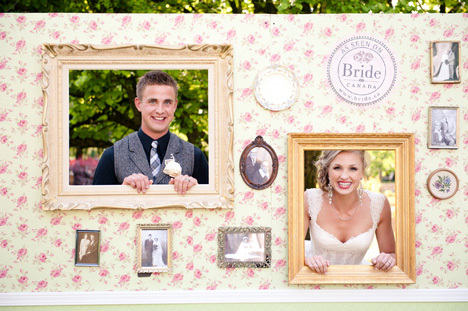 The photo-board was created by our best man and maid of honour from plywood and thrift store picture frames. 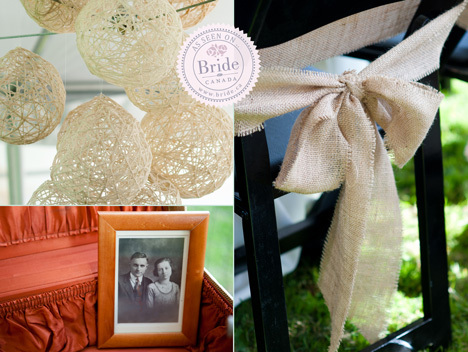 The hanging string balls were made by the bridesmaids and our Moms who glued twine and yarn around balloons. My grandma spent many hours applying crystals to the applique of my wedding dress and the satin buttons originally came from her own dress. The beautiful bouquets were prepared by a family friend who put so much thought into choosing the most perfect flowers for the theme. I could go on and on about all of the preparation but what really 'took the cake' was the day itself. The meal was lovingly prepared by Evita's sister, Doreen, who owns a catering company. Her team presented an elegant plated meal of prime rib and my Uncle Gerry's freshly caught sockeye salmon. After dinner our guests were welcome to wander around and visit the candy and doughnut tables or head over to the tea house to get away from the excitement for a minute. The tiered lemon-filled cake was baked and decorated by Evita and her friend; it definitely tasted as good as it looked! The first dance was back up in the loft of the barn, where an ipod playlist kept friends and family on the dancefloor into the early hours of the morning. The photos shown here truly capture the love and detail that went into this wedding, and we are so thankful to everyone who helped make our dream a reality.